May 31, June 1 & 2nd Chasing and Repousse workshop at the Tunnel Mill in Rochester MN. 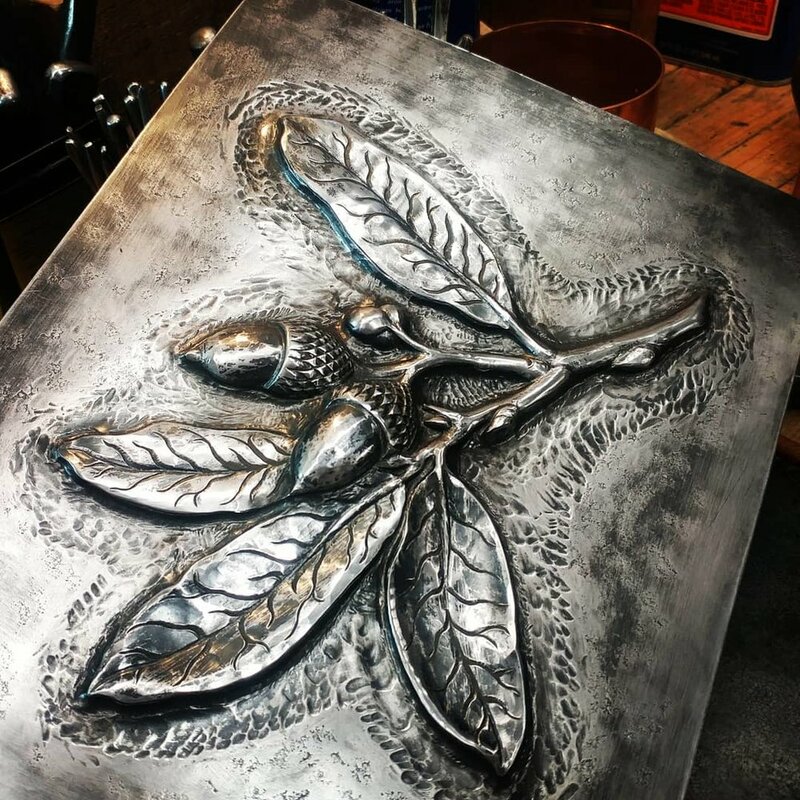 Refining our Chasing and Repousse technique through the observations and study of scientific illustrations. Our focus will be on a variety of plants and insects, and the how to use complementary material sciences to accomplish dramatic and realistic reliefs in sheet metal. This workshop is suitable for any experience level, which is the beauty of studying nature, there is something for everyone. Be prepared to do a little drawing and sculpting, please bring ear protection and suitable clothing. And lastly do think about what plant or insects you would like to spend a weekend observing. I have a variety of projects available to choose from as well if you would rather make a choice on site. All tooling provided, the appropriate chisels and hammers, pitch pots, clay and paper will all be provided.